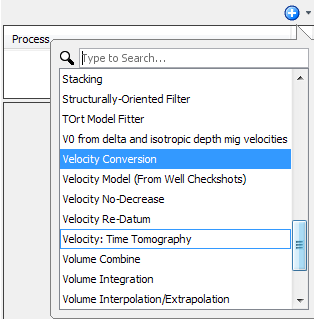 Description Safely resample velocity models and convert between formats. Convert input velocities to Z-T (depth values sampled in time). Interpolate the depth values to the output interval. Convert the interpolated result to the output format. Resampling in the Z-T domain preserves the time-depth relationship. Time/depth conversion using arbitrary velocity formats works in a similar fashion (see How it Works (Time-Depth Conversion)). 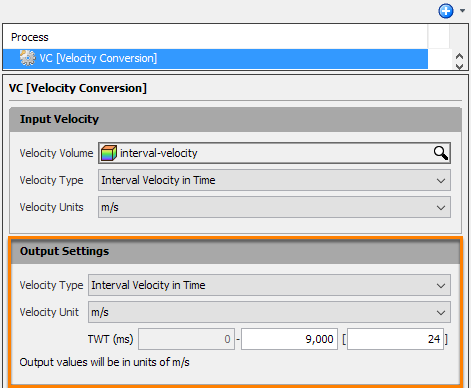 In the Input Velocity section of the Details Panel, select the velocity volume to be converted at Velocity Volume. 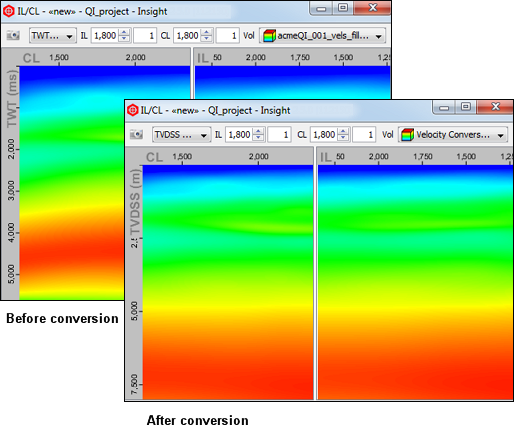 The conversion process supports both 2D and 3D velocity volumes. At Velocity Type, select the type of velocity you want to convert from. By default, this setting is based on the class of the input velocity volume. Select the unit of the input velocity at Velocity Units. 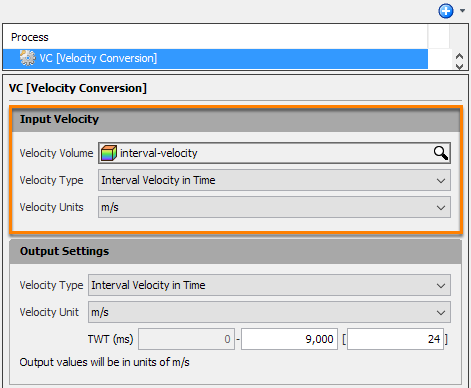 In the Output Settings section, select the type of velocity you want to convert to at Velocity Type. Type the vertical extent values and the increment for the output velocity. This is optional. As a result of this process, a new velocity volume is available in the Volume tab. Take note that the output volume’s class by default is based on the Output Velocity Type you have selected in the velocity conversion process.